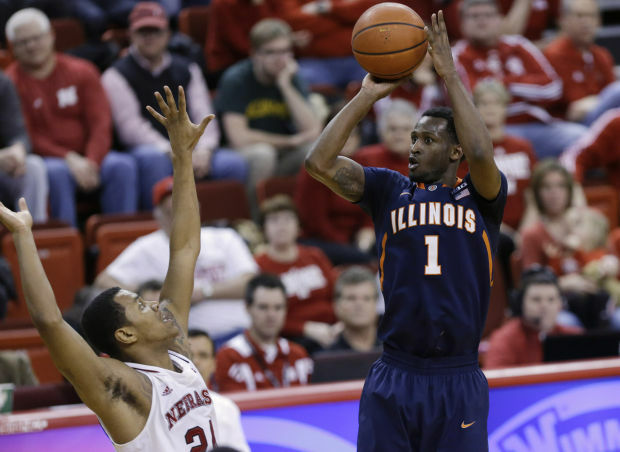 It wasn’t the most pretty thing in the world, but the Fighting Illini’s three-game skid finally came to an end as they left Lincoln with a 20 point victory over the Cornhuskers on Tuesday. After conquering the likes of Gonzaga and Ohio State earlier this season, the win over Nebraska fell short of igniting the Champaign faithful. The Illini skeptics are still in search of a verdict for this squad. This team at its best is reminiscent of the 2005 national runner-ups and at its worst looks like a replay of last season. The 2013 Fighting Illini are still in search of an identity. If this team did have an identity, it would be Two-Face. Two-Face is a famed Batman comic book villain who has one side of his body that represents a good, clean cut district attorney and another side that is burned, dark and evil. For Illinois, their good side is three-point shooting. And their evil side…is three-point shooting. Illinois embodies the epitome of feast or famine. In their 15 wins, they’ve made 9.3 three’s per game shooting 37%. In their 5 losses, they’ve made 5.2 three’s per game shooting 22%. The ultimate coin flip. They will need to start executing for the odds to sway in their favor. Coach John Groce thinks they did just that versus Nebraska. As the Illini prepare for the No.2 Michigan this Sunday, they will need to execute for the coin to flip in their favor.The Wolverines are as intimidating as advertised and may have their most stacked roster since their Fab Five heyday. Michigan is led by National Player of the Year front-runner sophomore point guard Trey Burke, who is third in the Big Ten in scoring (17.8 per game) and first in assists per game (7.2). Pretty good indeed. Groce also described Burke’s 4 to 1 assist to turnover ratio as “disgusting.” And their roster doesn’t end there. One of the major benefactors of Burke’s play is Tim Hardaway Jr., who is averaging at least 13.9 points for a third straight season (16.2 ppg). Freshmen forwards Nick Stauskas and Glen Robinson III are both averaging just over 12 points per game at an amazingly efficient rate for rookies, shooting 49% and 58% from the field respectively. To put it lightly, this team is a handful. It’s clear that Illinois will have to muster up something special to overcome the efficient attack of the Wolverines. Fresh off a career-high 30 points against Nebraska, Illinois senior guard D.J. Richardson may be the difference maker. Richardson has been falling on hard times, shooting a career-low 37% from the field and 32% for three. Richardson isn’t usually one to force up shots, and as he put it, he’s always had the looks. He’s just finally starting to make them. 20 point blowouts usually happen when you have a guy that averages only 11.8 points per game going off for 30. So much so that the Illini’s leading scorer, senior Brandon Paul, was held to only 14 points and the team still cruised. Luckily for Illinois, their Two-Faced attack might actually pay off on Sunday. The one glaring weakness for Michigan happens to be in the most fortuitous area for the Illini, perimeter defense. According to teamrankings.com, Michigan is 229th in the nation in three-pointers allowed per game (6.5). If Michigan struggles to contain the Illini’s backcourt, watch out. This game will come down to Illinois hitting the shots that are given to them. As Groce said, Illinois needs to find a correlation between execution and performance.